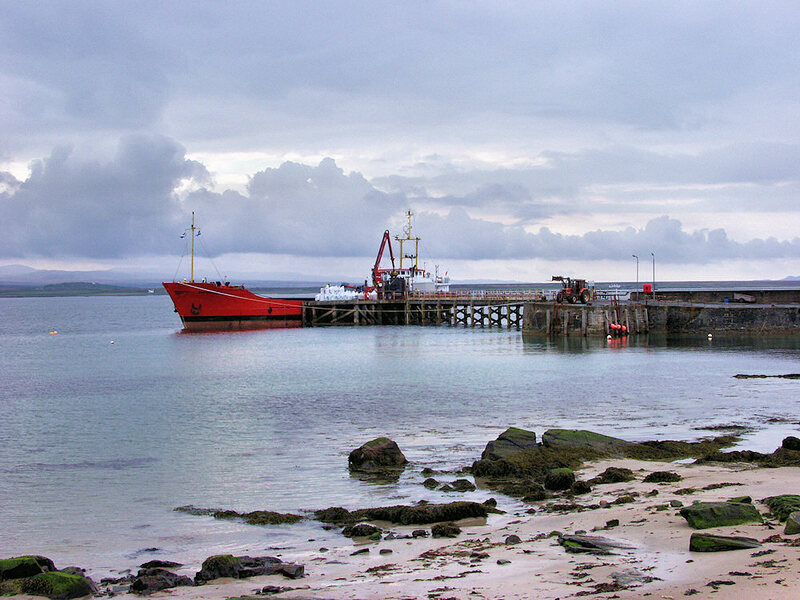 A cargo ship unloading at the old Bruichladdich pier in the early 2000s. The older stone part is still pretty much unchanged, but the outer wooden part has been replaced by a much bigger metal construction. This entry was posted in Cloudy Weather, Landscape, Repost, Sea Loch and tagged Bruichladdich, Islay, Loch Indaal by Armin Grewe. Bookmark the permalink.